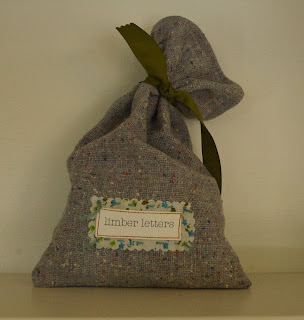 The Crafty Crow will be doing a Limber Letter Giveaway this upcoming Monday. I've just revamped the packaging and am pretty pleased with the way it turned out. I just added a couple bags to the etsy shop as a test run, and also, to let any of you have first dibs. This batch is limited. I will be adding more over the weekend in preparation for Monday. Also, all next week I will be posting games to play with the letter tiles in celebration of the giveaway.